Vast improvement on our old TV. Picture quality good and easy to,use. Only criticism was the instructions were lacking so had to use I pad to search and clarify set up instructions. Bought for my son's room and he loves it. The picture and sound quality are really good and it's improved the quality of his games as well. Easy to set up and work. Easy to set up and a great size as a second TV for the bedroom. Good price and picture quality for a smaller smart TV and we’ve been very happy with it so far. 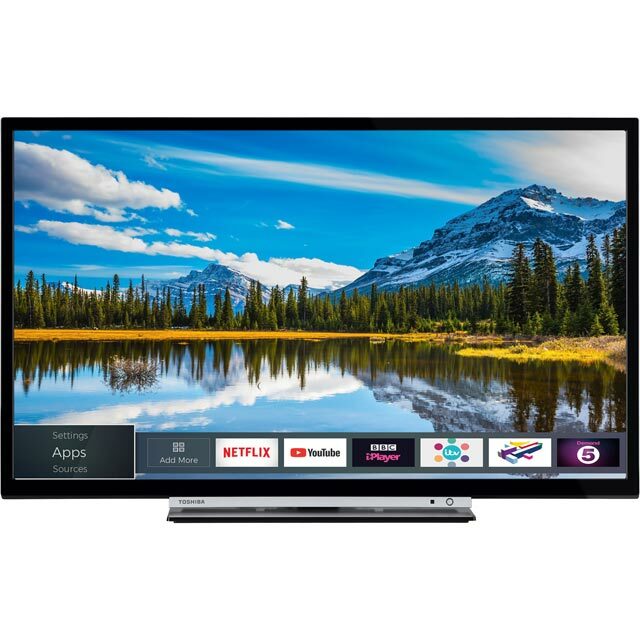 Great TV with plenty of features and easy to operate and connect to the internet wirelessly. Have not bought a TV in a while, so a whole new revelation in TV for us! Amazingly simple to use with all freeview and various catchup channels with the aide of recording if you wish to. Bought 2 of these in the end! Great little set. Ideal for a guest/smaller bedroom and looks great on the wall.